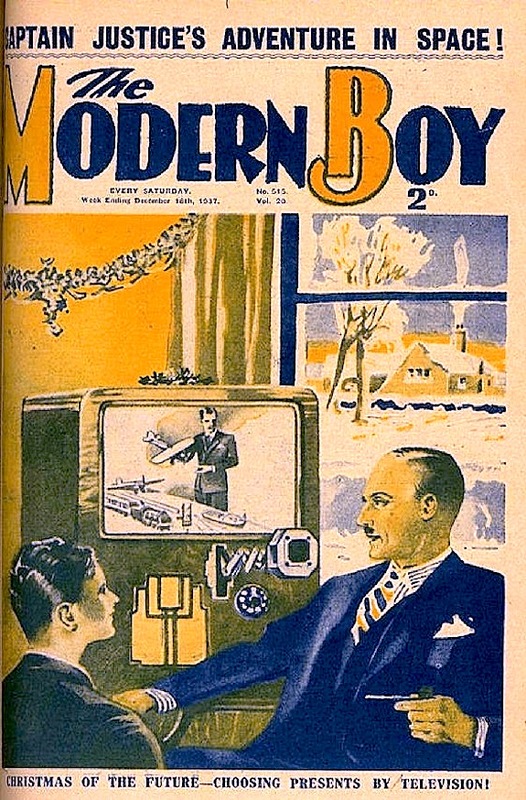 Christmas isn’t that far away, my friends, and this cover from a December, 1937 issue of The Modern Boy promises us great things are coming our way! The Modern Boy was a weekly magazine that had exciting stories and pictures aimed at ten-year-olds in England. This cover showed a Dad and his son deciding on which toy they preferred. All joking aside, this is a fairly accurate forecasting of us ordering stuff via the internet. The microphone sticking out of the set is a trifle alarming but remember that when this cover illustration was created, television in the home was at least ten or twelve years away. The artist based his TV set of the future on the large radios of the day and scored pretty near the mark. I like what appears to be a rotary telephone dial on the set; I guess that’s how you connect with the toy store. Of course, two-way television communication was further off but it’s still a cool guess by folks 75 years ago at what our world would be like today. 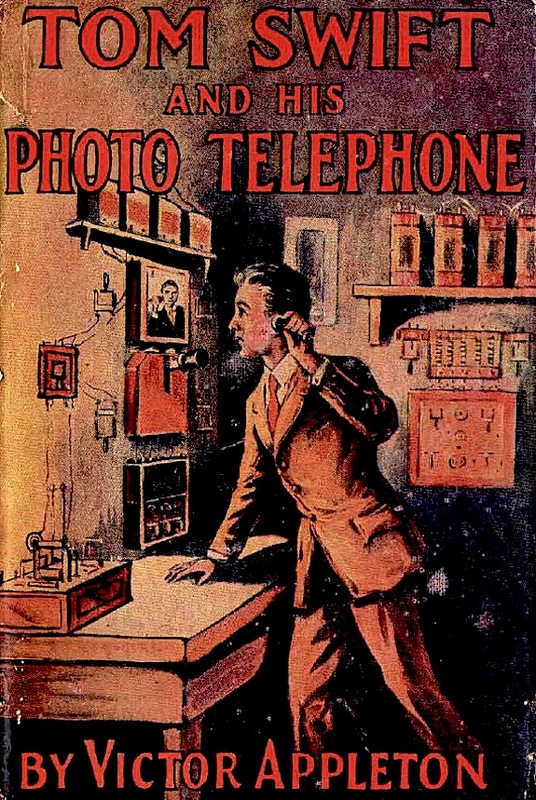 Here’s another cover from an old publication; this one’s a dust-jacket cover from the 1912 book, Tom Swift and his Photo Telephone. Tom clearly anticipates iChat. One senses Tom’s frustration at his dad’s attitude, but we all know who came out looking foolish at the end of the book, don’t we? There was another series of Tom Swift books when I was a kid; these were the adventures of Tom Swift, Jr, and he also had nifty ideas like space stations and solar batteries and a host of different metal alloys which were considered far-out at the time.